Recover email data from corrupt & damaged Outlook Express DBX files. It was a terrible nightmare for me when all my Outlook Express data became inaccessible. I tried some manual methods to get them back but I get failed every time. Fortunately, it was this tool, which enabled me to extract my email data. 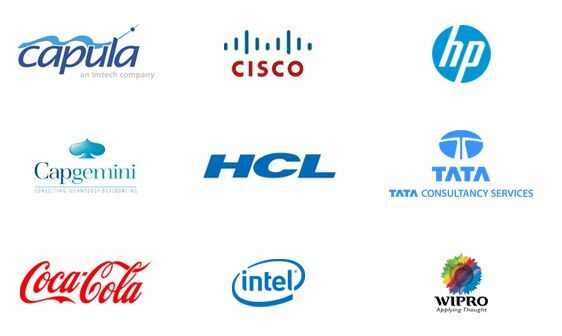 Facing data disaster situation due to loss of crucial email data is one of the most frustrating conditions. I have personally experienced it when my Outlook Express email data got lost and I was helpless. I would like to thank you for developing such an advance tool that recovered my almost all lost email data. Kernel for Outlook Express Recovery tool is advanced email recovery software which is much capable of recovering all lost, deleted, or inaccessible Outlook Express DBX email data. It performs thorough scanning, analysis and extracts DBX email data in just a few minutes. While working with corrupted Outlook Express DBX database, users come across several unexpected errors and issues. By using this advanced email recovery tool, you can fix all corruption errors and retrieve your email data as well. The software is included with advanced algorithms that make it exception in its category. It displays all recovered email data in a list with various filter options like “Save as DBX”, “Save as EML”, “Save all selected”, “Save all”, “Save all but deleted”, & “Save all but existing”. Another outstanding feature of this Kernel for Outlook Express recovery software is its ability to keep formatting, properties, integrity and consistency of recovered email files intact. The software recovers Outlook Express email data quickly and accurately. It involves no necessary technical skills for operating the tool. 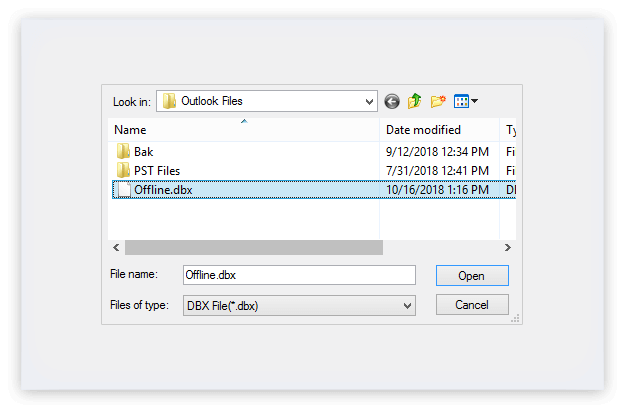 Recovering your corrupt Outlook Express files (DBX) is extremely straightforward in just three simple steps – load the file, preview the data, and save the file. Preview complete emails and other recovered items in details, before you save them. The deleted items upon recovery are particularly highlighted in red color, to grab your quick attention from rest of the data. Step.1In this step, software displays default Outlook Express database to repair. You can also select any other corrupt .DBX database to repair. Step.2In this step, the software extracts all the inaccessible Outlook Express email data in a list. You can save them as per your need by applying filter options. Step.3In this last step, software displays .DBX file repairing process. Upon completion, it displays a message “Saving process is complete”. 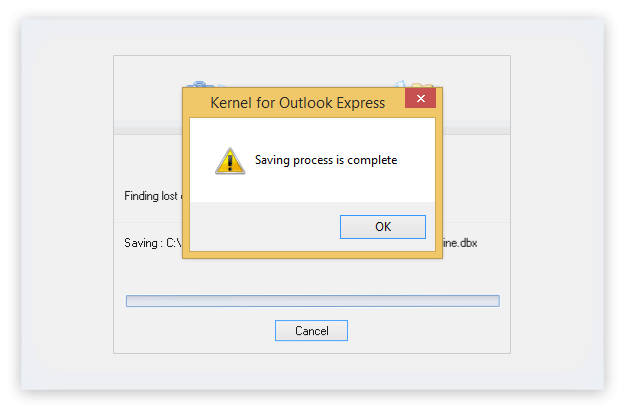 How to use Kernel for Outlook Express Recovery? Start with adding the database file(s) from system and click on Open. Now, click on the individual files one by one to have the preview. Mistakenly I have deleted some of the crucial emails from my Outlook Express mailbox. Want to retrieve those mails. Does this software can help me get back those emails? Well the answer is definitely yes. With the help of this Kernel for Outlook Express Repair software you can recover the DBX files easily. Adding to that the software provides you with an ideal solution to recover the accidentally deleted emails in almost every condition. In fact, with this software you can very effectively restore emails with images, message properties, attachments, along with Unicode characters. While trying to open corrupt dbx files of Outlook Express, I faced the error "Outlook Express could not be started because Msoe.dll could not be initialized". How to overcome from this issue? The most suitable way that you must opt is using this Kernel for Outlook Express Repair software. The software can very well repair and restore dbx files of the user profile which is/are configured in Outlook Express email client or any other dbx files which are provided by the user for repairing and recovery process. In fact, this software successfully restores email formatting, email properties (to, from, bcc, date/time), email data, attachments, embedded images, background images and all other email objects of the corrupt .DBX file. Does recovering DBX files using this software affect the performance or speed of tasks running on the system? No, this software acts as standalone software and doesn't affect other running operations. I am running this Outlook Express Repair tool but have not yet got any results. Is there any problem? Don't forget the fact that the during email retrieval process, this software perform a complete scanning of the damaged mailbox file. This scanning helps in locating the lost emails with their complete attachment, if any. Besides this, the scanning time depends upon the corruption level and size of the file. If the process is running, then it is a clear indication that application is still scanning the corrupted file. Wait for a while till the scanning process gets over. Once the scanning gets complete you will get the repaired file. How can I save the Outlook Express emails in DBX format using this software? 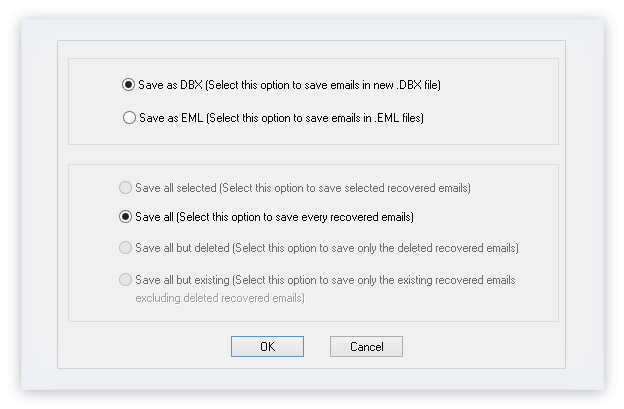 To recover Outlook Express DBX files and to save them into DBX file format, just start with the process where you require selecting Save as DBX option from the Saving Options window. Depending upon your requirement, select the saving options - Save all selected, Save all, save all but deleted, Save all but existing. Click OK to continue with the process. After you click on the OK button, Outlook Express Folder Selection Window will appear on the screen where you have to select the Outlook Express folder which saves the recovered emails in a sub folder created under the selected folder. Click OK. Software starts the saving process. The moment this software finishes the repairing and saving process, it displays the message "Saving Process is complete". Finally, you can view the restored emails in Outlook Express under the selected main folder. Being from non-technical background I have always faced problem while tackling with technical issues keep arising every now and then but after using their tools I am confident with backing up and retrieving data on my own. 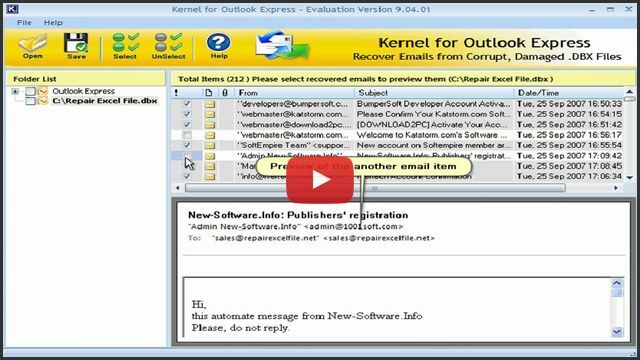 Nucleus Data Recovery.Com, a leading data recovery software provider company announces the release of updated version of Kernel for Outlook Express: an efficient email recovery software. The new version 9.04.01 repairs corrupt, damaged and inaccessible .DBX files and recovers emails from them. Emails that have been permanently deleted from the deleted items folders can also be recovered with Kernel for Outlook Express. The enhanced version of Kernel for Outlook Express provides the users with exclusive and advanced features that make recovery process more accurate, fast and convenient.